KNBC installed an FM station in about 1947. 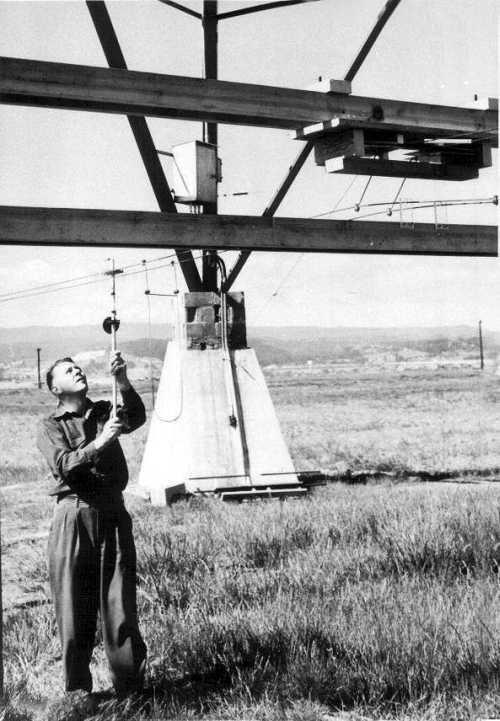 The three-element horizontally-polarized crossed dipole antenna was mounted atop the East tower. 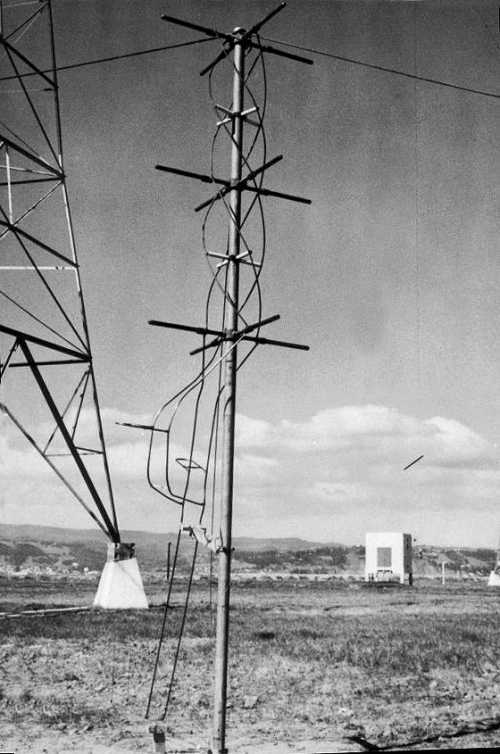 The image at left above shows the antenna on the ground before it was hoisted to the top of the tower. Of special interest is the balanced open-wire feed system with its inductive loops attached. The loops were used to cancel the capacitance of the line at the VHF FM frequency. 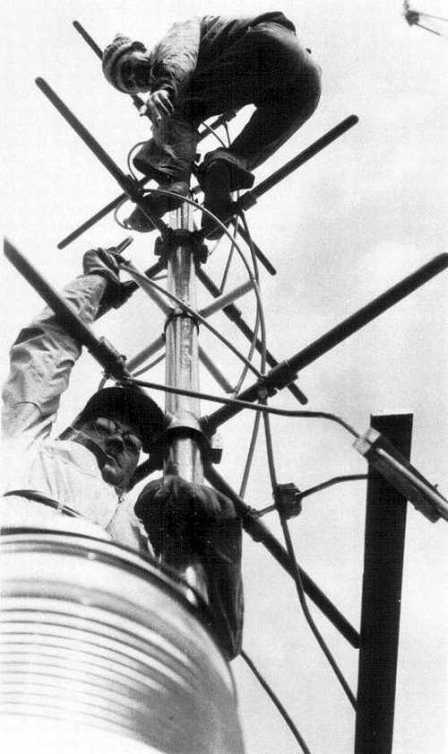 The image at right above shows the tower riggers installing the antenna at the top of the tower. These two images (above) show a KNBC engineer tuning the open wire transmission line that fed the antenna. 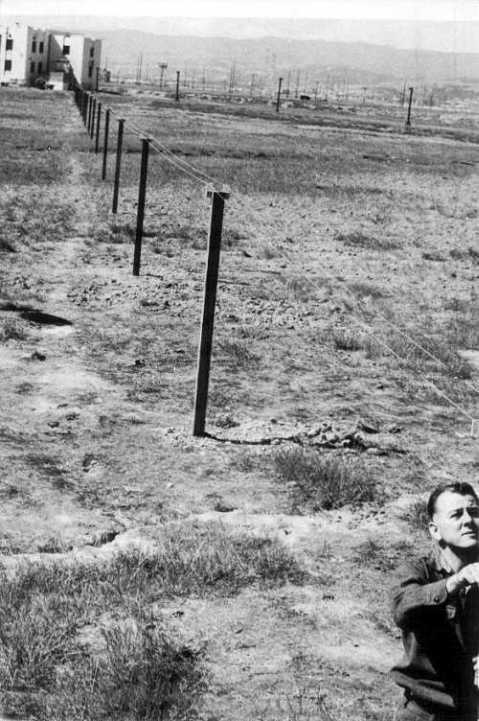 He is determining the placement of the inductive loops on the line.